Last two days have been about chatter on oilfield services and drilling companies at a pan global level based on Houstonian feedback, an interesting editorial and an investment note – all of which suggest that things are stable, growth will occur but that 2012-2013 may not be as good as 2011. The reason is tied-in to the Oilholic’s last few blog posts that natural gas price is low and crude oil price is relatively high. So gains are to be made on one side of the business and the other side – while not necessarily countering all gains – would still stunt growth to a degree according to those in the know. Furthermore, growing competition within the services and drilling industry also means the biggest companies will still grow over the next 12 months, but not by the 10%-or-higher range that would warrant a continued positive outlook according to Moody’s. “We foresee lower operating margins and slower EBITDA growth in 2012-2013 for the three companies that offer the best barometer of industry conditions – Schlumberger, Halliburton and Baker Hughes,” says Stuart Miller, Vice President & Senior Analyst at the ratings agency. “We would move our outlook to positive if we projected that sector’s EBITDA would grow by more than 10% (annualised) over the next 12-18 months, while a drop of more than 10% would translate to a negative outlook,” he concludes. The US rig count is also expected stabilise in 2012-2013. Oil-directed drilling will continue to outperform, but natural gas drilling will remain depressed into the foreseeable future, leading to a slower upward curve according to the agency. (Click on graph - above right - to enlarge; for the latest Baker Hughes Rig Count click here). Nonetheless, drilling and associated services in unconventional plays continues as an area of strength for the industry. The technical difficulty of developing unconventional resources will support a robust demand for sophisticated (also read expensive) horizontal well services. Companies such as Superior Energy Services, Key Energy Services and Basic Energy Services all stand to gain from their increasing exposure to unconventional plays, says Moody’s. This ties-in nicely to an editorial in the latest (Apr 13, 2012) issue of the Houston Business Journal by Deon Daugherty in which she notes that private equity funding is being pumped in to oilfield services firms as 2012 unfolds alongside the usual investment in other traditional E&P components of the business. 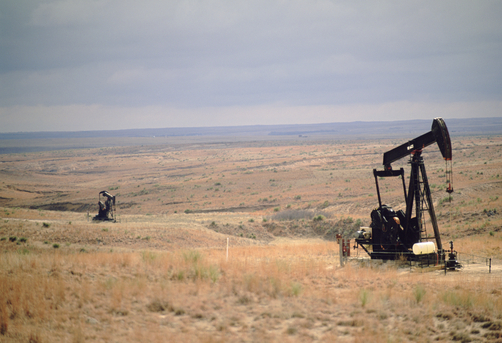 Based on feedback from key local players, Daugherty writes that the technology and technical expertise needed to drill complex horizontal wells, hydraulic fracturing and expensive equipment is partly behind Houston private equity funds pouring investments in to oilfield services companies, alongside a high price of black gold driving investment into traditional E&P activity. Speaking of editorials, there is another interesting and controversial one in The New Yorker (Apr 9, 2012) which makes a comment on ExxonMobil – the world’s largest “non-state-owned” corporation with annual revenues exceeding the GDP of Norway – and its ties with the US Republican Party. While Democrats love to loathe the Irving, Texas headquartered IOC, columnist Steve Coll, splendidly notes that ExxonMobil CEO Rex Tillerson and President Obama "appear to share at least one understanding about energy policy and the 2012 (presidential) campaign: they are both aware that the partisan and media-amplified war over where to place the blame for rising (US) gasoline prices is largely a phony one." The Oilholic couldn’t have put it better himself that being an E&P behemoth and that in itself being the area where its core interests are, "ExxonMobil can neither control prices at the pump nor make high profits there." On a related R&M note, a Bloomberg report suggests that Delta Airlines is possibly in talks with ConocoPhillips about purchasing the Houston-based oil and gas major’s Trainer Refinery in Pennsylvania. Citing anonymous sources, the newswire says Delta would use the fuel from the Trainer refinery and other refineries in exchange for other products made there that it would not use. While ConocoPhillips has said it would close the Trainer facility if it could not find a buyer by the end of May, its spokesman Rich Johnson told Bloomberg it is "still in the process of seeking a buyer for the refinery” and that the process was confidential. If it goes through, the move would be a remarkable one for a privately listed international airline. Lastly on a crude pricing note, local media outlets suggest Enterprise Product Partners and Enbridge plan to reverse the flow of the Seaway oil pipeline two weeks ahead of schedule by mid-May pending US regulatory approval, thereby starting a much-needed reduction of excess crude from the US Midwest down and dispatch it to the Gulf Coast. While the crude fetches a premium in the Gulf Coast, high inventory levels at the Cushing, Oklahoma – the delivery point for WTI oil futures contracts – have impacted WTI pricing relative to Brent. Reports suggest a mid-May (May 17) start date for the pipeline flow reversal will initially carry about 150,000 barrels per day of crude from the Midwest to the Gulf Coast. The news had an immediate impact as the arbitrage between transatlantic Brent and Gulf coast crudes on one hand and WTI on the other contracted sharply. At 18:15 GMT, Light Louisiana Sweet (LLS) traded at US$19.40 a barrel premium over WTI, down US$1.65 from Friday's, Mars Sour (MRS) traded at US$12.25 a barrel over WTI down US$1.75, Poseidon (PSD) traded at US$11.55 over WTI down US$1.55. Meanwhile, the ICE Brent futures contract for June traded at US$118.60 down US$2.61. Hitherto Brent crude and Gulf Coast crudes were moving up in tandem for the last 18 months, so this is certainly welcome news for those hoping for a return to more traditional levels stateside between WTI and Gulf Coast crudes. Sadly, it is now time to bid another goodbye to Houston – a city which the Oilholic loves to visit more than any other. Yours truly leaves you with a view of the Minute Maid Park in downtown Houston. It is home to the local baseball team – the Houston Astros. The stadium has a capacity of 40,963 spectators according to a spokesperson with an electronically retractable roof which was developed by Vahle, courtesy of which it can be fully air-conditioned when required – a wise decision given the city’s often hot and humid weather! A local enthusiast tells the Oilholic that the field is unofficially and lightheartedly known as "The Field Formerly Known As Enron" by fans, locals, critics and scribes alike, acquiring the title in wake of the Enron scandal, as the failed energy company had bought naming rights to the stadium in 2000 before its spectacular and fraud-ridden collapse in November 2001. 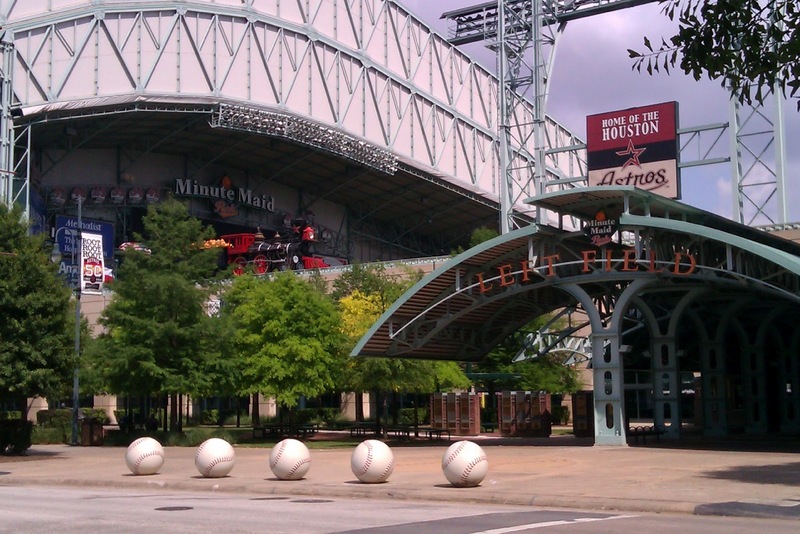 Thankfully, on June 5, 2002, Houston-based Minute Maid, the fruit-juice subsidiary of Coca Cola Company, acquired the naming rights to the stadium for 28 years. Unlike Enron, it’s a healthier brand says the Oilholic. That’s all from Texas folks! Keep reading, keep it ‘crude’! © Gaurav Sharma 2012. Photo 1: Pump Jacks Perryton, Texas, USA © Joel Sartore/National Geographic. 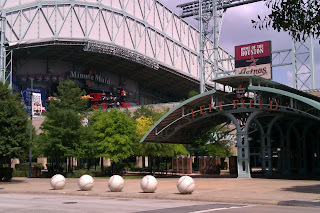 Photo 2: Minute Maid Park - home of the Houston Astros, Texas, USA © Gaurav Sharma 2012. Graph: Land & Offshore rig count and forecast © Baker Hughes/Moody's.